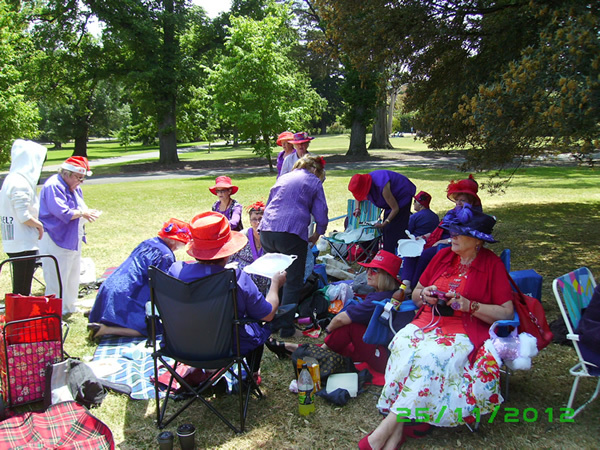 The weather was perfect and so we were able to mix and to celebrate Red Hatting. 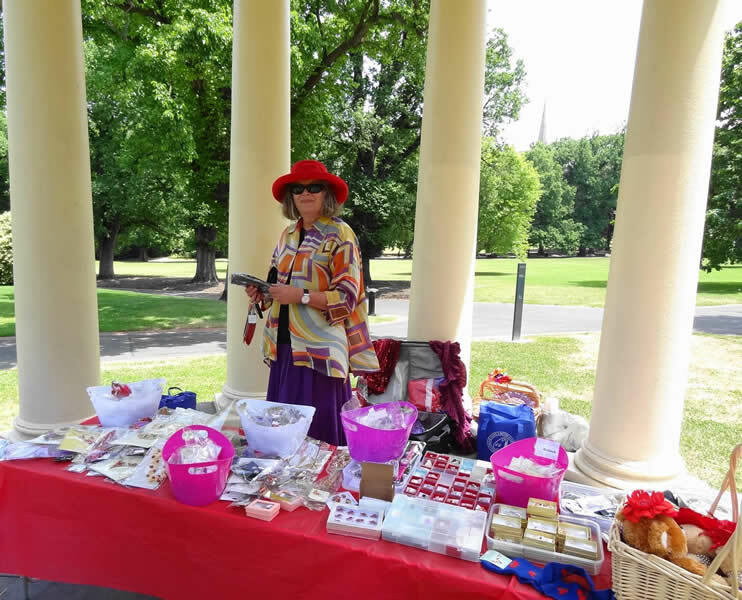 Ladies rushed the merchandise stall and enjoyed Mary Christmas who made an appearance. 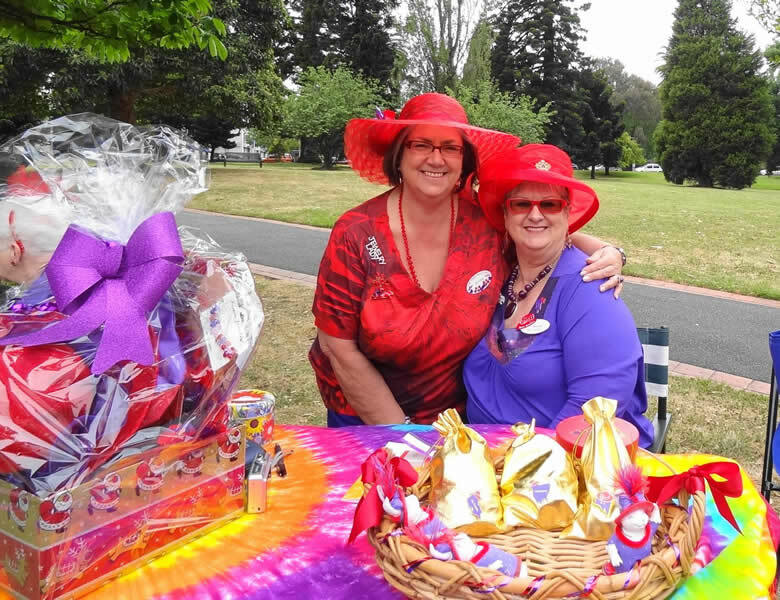 Monies raised by raffle sales started the fund to host the Victorian website. 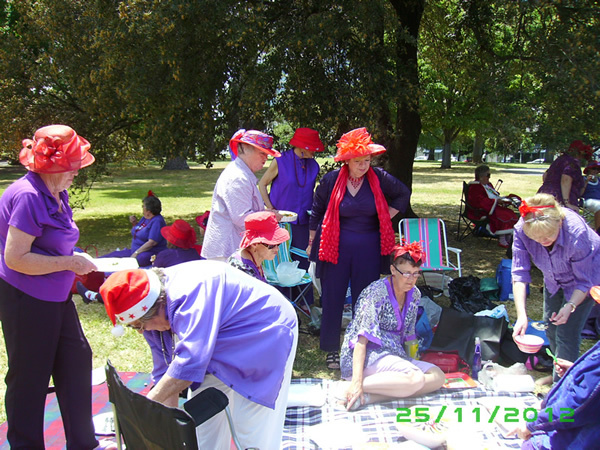 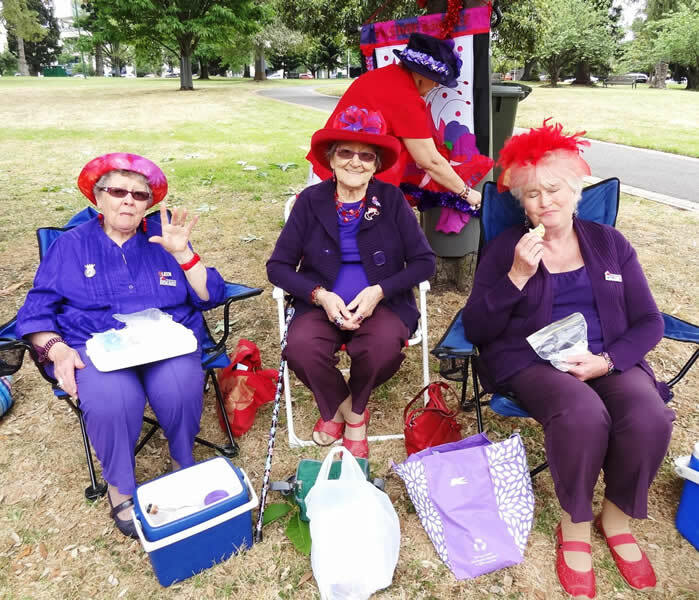 It was voted that annual picnics continue.